Because staring at a temperature gauge isn’t fun. Memorial Day heralds the start of barbecue season—a time when an easy marinade, a flavorful cut of meat and chilled rosé is all you need for the perfect summertime meal. Before breaking out the steaks, though, consider an alternative to the traditional gas grill: open fire. 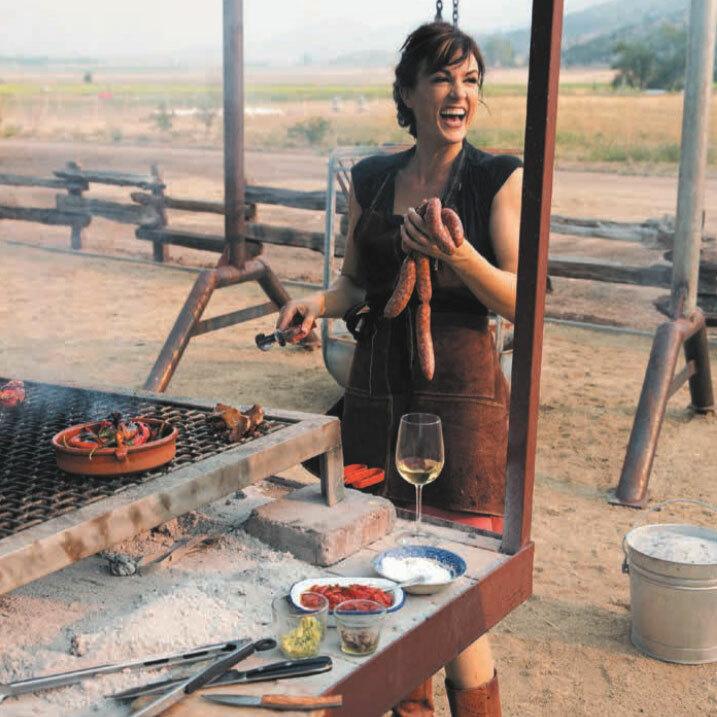 Anya Fernald, the co-founder and CEO of Belcampo Meat Co. and author of Home Cooked, is a passionate advocate of open-fire grilling. She first learned the practice while living in Sicily, where she found it almost meditative. 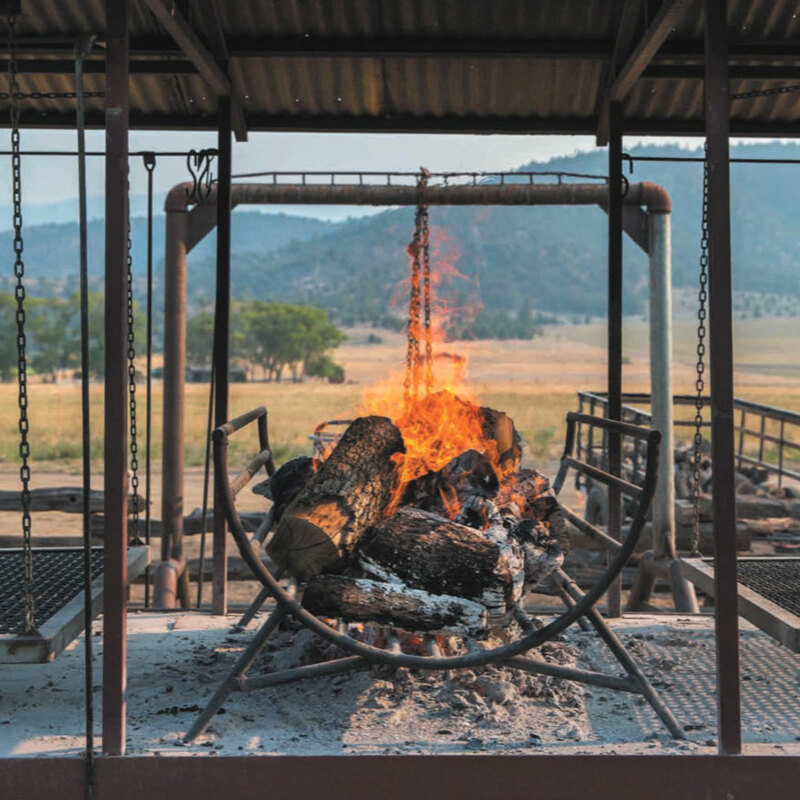 In addition to helming the sustainable meat company, an organic farm, an animal welfare-approved butchery and a string of butcher shops and restaurants, Fernald also hosts “meat camps” in northern California. During the three-day retreats, guests learn basic butchery, knife skills and open-fire grilling, all while staying in luxury tents and gathering for al fresco, family-style meals. To recreate the experience at home, Fernald offers her guide to building your own wood-fire grill and cooking an uncomplicated yet memorable meal. Fernald says almost any grill will work, but she suggests using something basic, like a Weber. Add about six logs of wood to build a big fire, starting about two hours before you want to cook. “A big fire is better so that when it dies down, you have a generous bed of coals,” she says. When you’re ready to start grilling, she recommends using a poker to break up the logs and flatten the fire. Start by placing the meat in the Chill-Out Zone for about an hour to let it come to temperature, then move it to the Sear Zone roughly twenty minutes before you plan to serve it. “Let them sizzle for about two minutes on each side, using tongs to get a crusty sear on the bone side and a nice fat cap,” she says. Then, move the meat to the Cooking Zone for two to three minutes on each side. “You'll know they're ready when the resilience of the meat is like poking the skin between your thumb and forefinger when you're making a fist,” she says. Finally, add the meat to the Chill-Out Zone for five minutes, and then transfer to a cutting board for another five minutes before serving.